Human capital plays a central role in fostering economic growth. The development of human capital is significantly influenced by high-quality early childhood development programs. REMI invites you to join us for a guest webinar on Wednesday, April 18th, 2018 from 2 to 3 p.m. EST presented by Pete Walley from the University Research Center of the Mississippi Institutions of Higher Learning, who will discuss an analysis of the potential economic impacts from early childhood development programs. 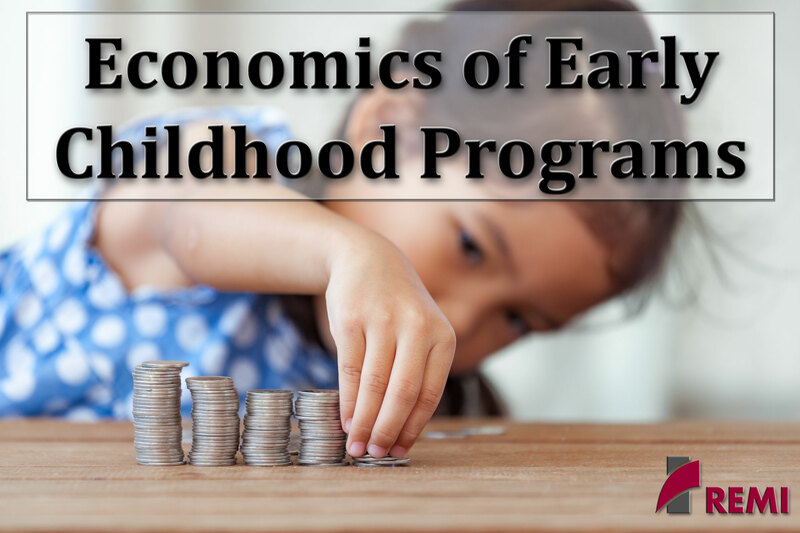 The University Research Center, in partnership with the Graduate Center for the Study of Early Learning at the University of Mississippi, estimated the state economic impacts of a public early childhood development program in Mississippi. The researchers used the REMI model to quantify and provide economic estimates on the Mississippi economy through the implementation of a program focused on children up to 36 months of age. For this webinar, Mr. Walley will review the findings and describe the methodologies used to conduct this analysis.